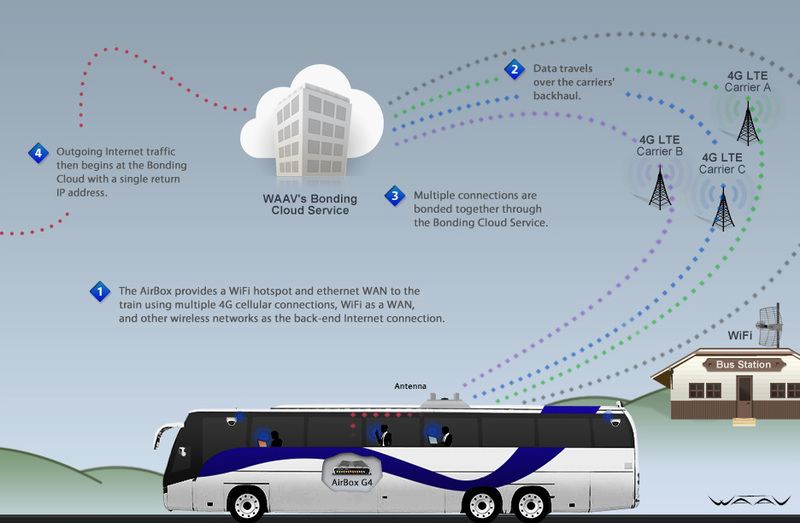 Bus Solutions | WAAV, Inc.
WAAV offers many features that make for a much better user experience for passengers using WiFi. Here are some of the options that make the difference between the AirBox and other similarly marketed products. WAAV's AirBoxes are offered with either a single cellular connection or multiple cellular connections. Multiple connections can be used to provide additional bandwidth to accommodate many users as well as increase coverage by using multiple carriers. There are two different types of multiple connection solutions known as bonding and load balancing. Quality of service delivers the same browsing experience for multiple WiFi users. It prevents one user from using too much bandwidth by watching a high resolution video and slowing connections for others. WAAV's unique proportional bandwidth QoS ensures that all WiFi users have a simple, single-sign-on and reliable connection. Customers are greeted with a splash page that will display company logo and tag line. The user will need to accept the terms and conditions of using the connection. Keep the bus family friendly with content filtering. Optionally filter adult content from the Internet. Set a limit of the number of users allowed online at one time. Users exceeding this limit will have a splash page to tell them the capacity is full. 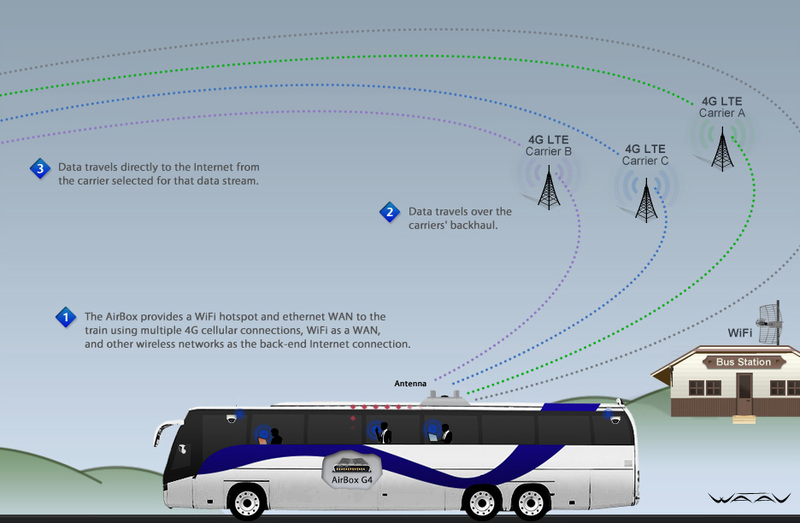 Map the cellular Internet service along a bus route. When enabled, the AirBox disables WiFi and begins performing constant bandwidth tests every minute. The data exports in .csv file format for graphing and review. 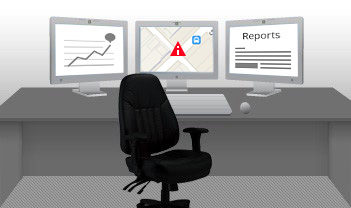 In addition to providing Internet access for passengers, optional GPS fleet management software allows operators to track their vehicles in real-time. Users can view all vehicles at once or zoom in on a specific vehicle and see details such as speed, number of users, etc. Connect on-board cameras to the AirBox and view the video feed in real-time over the existing cellular infrastructure. 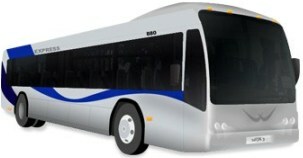 Take advantage of the broadband connection to the bus and monitor on-board systems in real-time. Monitor the temperature from the HVAC unit, check sensors, set alarms, and much more.